Lightning McQueen is coming to your child’s birthday party with our Cars Pull String Pinata. This pinata is a great party decoration and fun party game– simply fill the pinata with your own Cars themed party favors and goodies and have guests take turns trying to find the 1 pull string that releases all the treats. 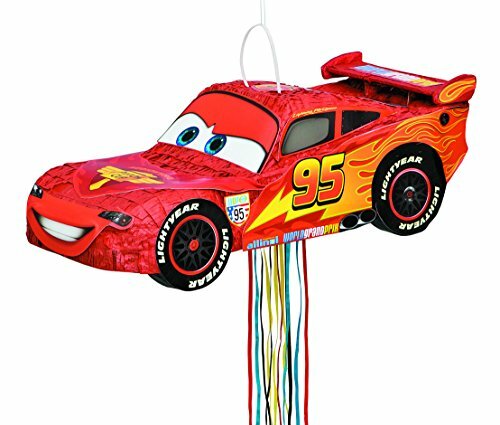 This Cars Pull String Pinata is shaped just like Lightning McQueen. Coordinate this party game with other Cars party supplies and matching solid color party decorations from Unique. Cars Pinata measures 21″ L x 10″ W.